I have been getting much more involved into twitter related events lately. Over the last few months I kept seeing references to something called #smunch. Well this time around I was actually in town, had the time to go and knew a few of the tweeps that would be there. Keep in mind when I say knew, I just mean I have conversed with them via twitter. The event was setup via twtvite. I have seen this used for several events and it is great for tweetups. There was one slight problem I found out later. The event was setup in Mountain Standard Time. Arizona doesn’t use Day Light Savings Time and thus my Google calendar is set to Mountain Standard (Arizona) Time. So I was in downtown Phoenix an hour early. No worries though I just stopped by LUX coffee and ended up running into several friends. 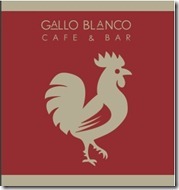 After enjoying a great latte it was time to head over to #smunch at @galloblanco. So what the heck is Smunch? The local one that I went to is the brainchild of @matthewpetro @traciepetro @ToniaMBartz. They seen a lot of locals getting together for night time events, and asked why not brunch? From this the Saturday morning brunch was born. While I didn’t really know anyone there I was instantly welcomed into the group. Some where regulars others were also first timers. We had great food, great company, great service and an overall fabulous time. The owner of Gallo Blanco (Doug Robson) seen the #smunch as we were live tweeting and even stopped by our table to say thanks and make sure everything was ok. He personally runs the @galloblanco twitter account, awesome! So get out there and try something new, meet new people, have a good time and most of all …. Share your experiences. This entry was posted in random, Recreation. Bookmark the permalink.